Two routes with two organizations ready to implement them. In order for a homeless camp to progress to a sanctioned village, it will almost certainly need to be defined as transitional, meaning residents are staying there temporarily until they can find a more permanent living situation. This is especially true if it is to be hosted on public land. But where are they to transition to? The way I see it, there are two primary means for someone to transition out: a secured source of income or a relationship with a land owner. I'll tackle the latter first. Relocating a micro-housing unit from the transitional village to the backyard of a private residence can be an ideal solution. The transitional village model emphasizes collaboration between the unhoused and the housed, which can lead to relationships where this type of agreement can come to fruition. In addition to providing someone a more permanent living situation, this would also increase the density of our single-family neighborhoods, promoting a more village-like environment. 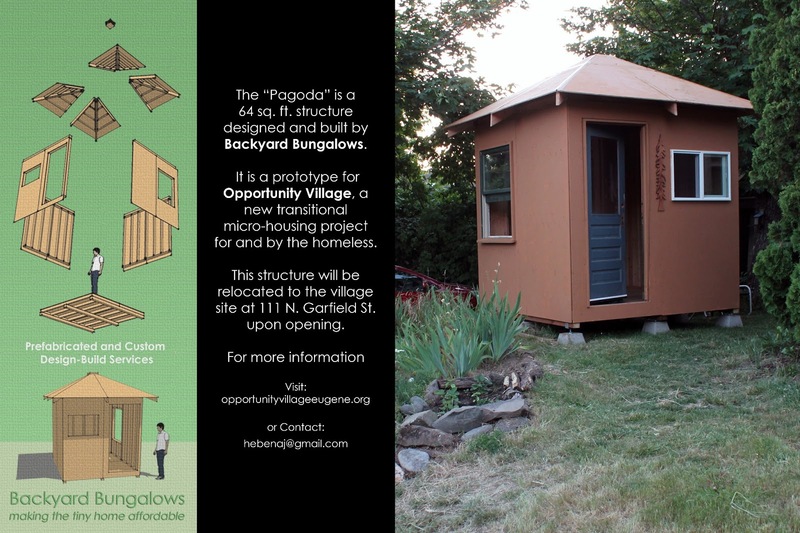 Backyard Bungalows is a design-build firm developing structures with this in mind. The micro-housing they are designing for Opportunity Village is very compact (60-80 sq. ft.) and composed of modular 4'x8' panels that are interchangeable. With a more stable site, more panels can easily be added to make a larger, more comfortable living space. It's unrealistic, though, to think everyone is going to run into that sweet of a deal. Consequently, I believe we must make this type of housing more readily available - through the creation of affordable villages. This would be an alternative take on affordable housing similar to how the transitional village is an alternative take on transitional housing. Once it becomes financially feasible, a resident could relocate their home, earned through sweat equity, to a more permanent village setting where they would pay a modest rent. 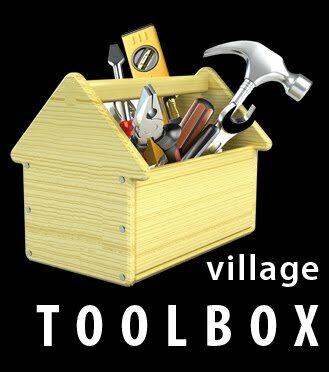 Again, the transitional village model improves conditions by encouraging relationships that can lead to local jobs that would make this progression possible. Since this would be the next step away from homelessness, it would likely offer more stable community with a higher quality of life standard. Structures could even be upgraded to more elaborate tiny houses, or "second settlers," and the old structures could cycle back to the transitional village. The Village Collaborative is a new initiative with the intent of planning and designing this type of housing opportunity. By rethinking our standard of living in a more human-scaled perspective, we can create homes and communities that are more attainable and fulfilling. Recently, I've been able to get away from the desk and into the workshop, building some of the prototype structures for Opportunity Village, a transitional village for and by the homeless. The structures are composed of modular 4'x8' panels that can be easily assembled on site or disassembled and transported if necessary - ideal for temporary, transitional housing. The parts are also largely interchangeable, allowing for the structures to be adapted to the site. Also, if a permanent site is located for the structure, the inhabitant can simply add more panels to expand their space. 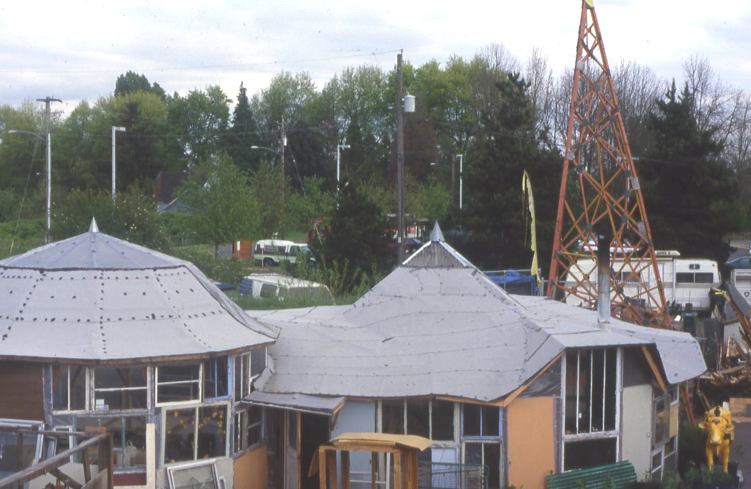 In Oregon, if a structure is under 200 sq. ft. and an average height of 10 ft., it does not require a building permit unless it is a habitable structure. While this last part is rarely enforced on private property, we are being required to have the structures for the Village permitted. 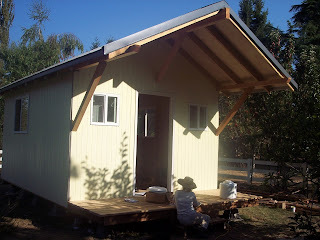 But, due to the "temporary" nature of the housing, we are getting around two building code requirements that have significantly hindered the tiny house movement: permanent foundations and insulation requirements. 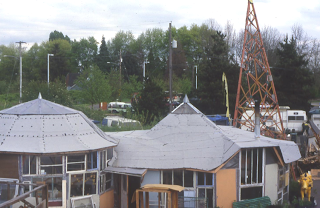 Habitable structures are typically required to have permanent foundations, but since the structures will not be hard-wired to utilities this is not a concern. Instead the structures will be raised on pier blocks, requiring little to no earthwork. Second, habitable structures must typically be insulated to meet a certain R-value standard, regardless of their size. Recently, though, the Oregon REACH Code (ORC) code has incorporated size based tiers, recognizing that larger homes use more energy than smaller ones. Under this interpretation, larger homes are required to be more energy-efficient to encourage the construction of smaller homes. The ORC is an "optional building code that aims to keep the state’s design and construction industry at the forefront of high-performance building by providing both a preview of measures likely to be considered in the next mandatory building code and also a testing ground for innovative design and new technology."